The domain of acclaimed writer Harper Lee has recorded a claim against Rudinplay, Scott Rudin's generation flag, over movie producer and screenwriter Aaron Sorkin's new adjustment of To Kill A Mockingbird. As indicated by the complaint, first revealed by The New York Times, Lee optioned a phase variant of To Kill a Mockingbird to Rudin almost three years prior, on June 29, 2015. This happened not as much as a previous year to Lee passed away on February 19, 2016, at 89 years old. What Rudin paid an announced $100,000 (in addition to a part of sovereignties) to Lee keeping in mind the end goal to make a sensational adjustment of her novel, which takes after the residential community legal counselor Atticus Finch as he speaks to Tom Robinson, a dark litigant unfairly blamed for the assault. In the suit, Harper Lee Estate delegate Tonja B. Carter alleges that Aaron Sorkin's adjustment of To Kill a Mockingbird strays too a long way from the 1960 novel, and that it disregards the agreement amongst Lee and the makers that subtle elements the plot and characters of the adjustment must stay consistent with what's portrayed in the book. The agreement states, partially, that "the Play might not disparage or withdraw in any way from the soul of the Novel nor modify its characters." The claim contends that Sorkin's depiction of Atticus Finch conflicts with his courageous picture in Lee's novel. Sorkin professedly delineates Atticus as a "guileless defender for the racial the norm," concurring to The New York Times. 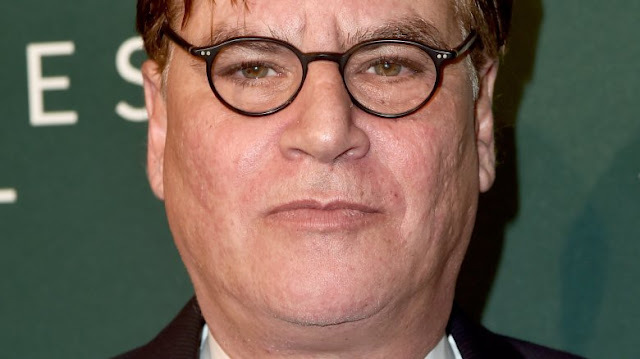 The objection refers to a meeting Sorkin had with Vulture about his adjustment of To Kill a Mockingbird as incomplete confirmation he veered off from the novel. "To the extent, Atticus and his excellence goes, this is an alternate interpretation of Mockingbird than Harper Lee's or Horton Foote's," Sorkin said. "He moves toward becoming Atticus Finch before the finish of the play, and keeping in mind that he's coming, he has a running contention with Calpurnia, the servant, which is a considerably greater part in the play I just composed. He is trying to claim ignorance about his neighbors, and his companions and his general surroundings, that is as supremacist as it may be, that a Maycomb County jury could put Tom Robinson in prison when it's so evident what occurred here. He turns into a defender for these individuals." Notwithstanding protesting Sorkin's charged rethinking of Atticus, the claim likewise finds the revealed expansion of two new characters and the "modification" of Jeremy "Jem" Finch and Louise "Scout" Finch infringing upon the agreement. It additionally raises doubt about whether Sorkin's play content precisely and decently speaks to 1930s residential community Alabama. Carter and Rudin were purportedly in correspondence as ahead of schedule as for September of 2017. The two examined Sorkin's adjustment, and concerns and consolations were traded. Rudin is said to have affirmed that "the Atticus of the [play] is the Atticus of the novel." Those discussions purportedly proceeded through to March 2018. On March 5, Carter communicated that Atticus in the play is "inconsiderate and narrow-minded," "more fierce and far less honorable." after four days, Rudin's legal counselor Jonathan Zavin, guarded the play, saying that it "doesn't disparage or leave from the soul of the novel, nor adjust the essential natures of the characters in the novel." Zavin closed, "Aaron Sorkin is one of the main scholars in America. He would barely be expected to compose the play if the goal was only to complete an interpretation of the novel on the stage. Ms. Lee was very much aware that Mr. Sorkin would convey his viewpoint and ability to the play, and that the play would not be indistinguishable in all regards to the novel." Carter is looking for a final judgment about the necessities of the agreement amongst Lee and the play's makers, and also the affirmation that Sorkin modified the characters, the settings, and the anecdotal trial against Tom Robinson. Sorkin's interpretation of Lee's notable novel has been one of the current year's most foreseen Broadway plays. Bartlett Sher coordinates, with Jeff Daniels featuring Atticus Finch, Celia Keenan-Bolger depicting Scout, Will Pullen playing Jem, and Gideon Glick depicting Dill.